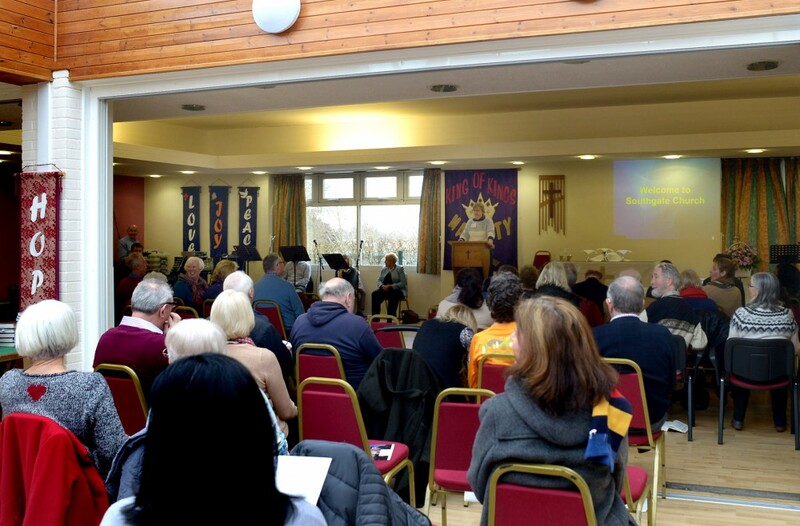 Our Sunday morning services begin at 10.30am and are held in the main hall of Southgate Community Centre. Our worship style is informal and modern with a good music tradition, and an expectation of sound biblical teaching. During this interregnum services are taken by Members of the Church or by visiting preachers. 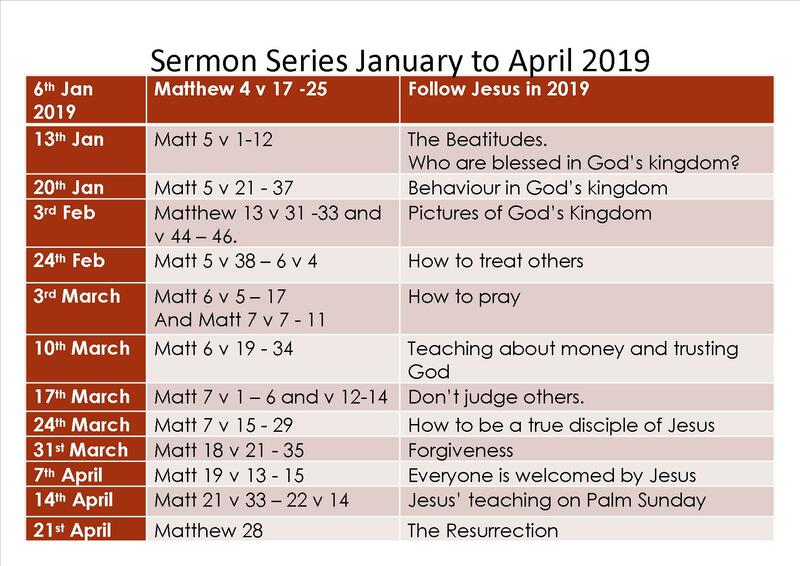 We are currently following a sermon series focussing on the beattitudes. Details of this can be seen by clicking here. 1st Sunday of each month - Together on Sunday Service Come and join us for our all-age family service where everyone from 0 to 100 stays together to celebrate God’s love and goodness to us. 3rd Sunday of each month Communion is celebrated as part of this service. We welcome anyone who loves the Lord to share at the Communion table and all are welcome to receive a blessing. Sunday Club Children and young people receive teaching and fellowship in Sunday Club. They join with the church family for the first part of the service at 10.30am. After a short time of worship, Bible reading and prayer they go out to their own groups to learn about God and Jesus through age appropriate crafts, games and activities, all with a gospel message. The groups are for ages 4-8 and 9 plus. Services and Sunday Club aim to finish no later than 11.50am. Refreshments are served after every morning service with a self-serve facility available before the service. Two quiet rooms are available after the service where our dedicated prayer team will pray for you and your concerns if you wish. There is a Breaking of Bread service on the first Sunday of each month, held in the Church Centre, beginning at 6.30pm.